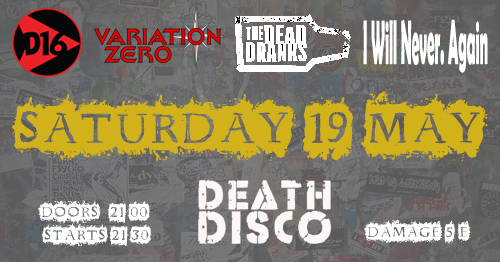 D16 is playing live on May 19th at Death Disco along with our good friends Variation Zero, The Dead Dranks and I Will Never. Again. See you there!